On August 7, the Rockefeller Foundation and the Community Systems Foundation (CSF) joined up with the Technology Salon NYC for the first in a series of 3 Salons on the use of ICTs in monitoring and evaluating development outcomes. Our lead discussants were: Erica Kochi from UNICEF Innovations; Steven Davenport from Development Gateway and John Toner from CSF. This particular Salon focused on the use of ICTs for social monitoring (a.k.a. ‘beneficiary feedback loops’) and accountability. Below is a summary of the key points that emerged at the Salon. If you want to join the next Salon, sign up here. M&E is not only about formal data collection and indicators anymore, one discussant commented, “It’s free form, it contains sentiment.” New ICT tools can help donors and governments plan better. SMS and other social monitoring tools provide an additional element to more formal information sources and can help capture the pulse of the population. Combinations of official data sets with SMS data provide new ways of looking at cross-sections of information. Visualizations and trend analysis can offer combinations of information for decision making. Social monitoring, however, can be a scary thing for large institutions. It can seem too uncontrolled or potentially conflictive. One way to ease into it is through “bounded” crowd-sourcing (eg., working with a defined and more ‘trusted’ subset of the public) until there is comfort with these kinds of feedback mechanisms. Building a platform or establishing an SMS response tool is not enough. One key to a successful social monitoring effort is working with existing networks, groups and organizations and doing well-planned and executed outreach, for example, in the newspaper, on the radio and on television. Social monitoring can and should go beyond producing information for a particular project or program. It should create an ongoing dialogue between and among people and institutions, expanding on traditional monitoring efforts and becoming a catalyst for organizations or government to better communicate and engage with the community. SMS feedback loops need to be thought of in terms of a dialogue or a series of questions rather than a one-question survey. “People get really engaged when they are involved in back and forth conversation.” Offering prizes or other kinds of external motivation can spike participation rates, but they also create expectations that can affect or skew programs in the long run. Sustainable approaches need to be identified early on. Rewards can also lead to false reports and re-registering, and need to be carefully managed. Salon participants brought up concerns about privacy and protection, especially for more sensitive issues that can put those who provide feedback at risk. There are a number of good practices in the IT world for keeping data itself private, for example presenting it in aggregate form, only releasing certain data, and setting up controls over who can access different levels of data. 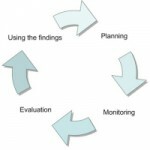 However with crowd-sourcing or incident mapping there can be serious concerns for those who report or provide feedback. Program managers need to have a very good handle on the potential risks involved or they can cause unintended harm to participants. Consulting with participants to better understand the context is a good idea. Getting a representative response via SMS-based feedback or other social monitoring tools is not always easy. Mandatory ratios of male and female, age or other groups can help ensure better representation. Different districts can be sampled in an effort to ensure overall response is representative. “If not,” commented one presenter, “you’ll just get data from urban males.” Other barriers also need consideration, such as language; however, working in multiple languages becomes very complicated very quickly. One participant noted that it is important to monitor whether people from different groups or geographic areas understand survey questions in the same way, and to be able to fine-tune the system as it goes along. A key concern is reaching and including the most vulnerable with new technologies. “Donors want new technology as a default, but I cannot reach the most excluded with technology right now,” commented a participant. In addition to ensuring inclusion of individuals and groups, communities need to be involved in the entire process. “We need to be sure we are not just extracting information,” mentioned one participant. Organizations should be asking: What information does the community want? How can they get it themselves or from us? How can we help communities to collect the information they need on their own or provide them with local, sustainable support to do so? Character limitation can be an issue with SMS. Decision tree models, where one question prompts another question that takes the user down a variety of paths, are one way around the character limit. 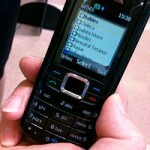 SMS is not good for incredibly in-depth surveys however; it is good for breadth not depth. It’s important to use SMS and other digital tools for what they are good for. Paper can often be a better tool, and there is no shame in using it. Discussants emphasized that one shouldn’t underestimate the challenges in working with Telco operators and making short codes. Building the SMS network infrastructure takes months. Social media is on the rise, so how do you channel that into the M&E conversation? The purpose of including ICT in different initiatives needs to be clear. Goals and evaluative questions need to be established. Teams need to work together because no one person is likely to have the programmatic, ICT and evaluation skills needed for a successfully implemented and well-documented project. Programs that include ICTs need better documentation and evaluation overall, including cost-benefit analyses and comparative analyses with other potential tools that could be used for these and similar processes. These processes remain very iterative; they are not ‘automated’ processes. Initial surveys can only show patterns. What is more interesting is back-and-forth dialogue with participants. As one discussant noted, staff still spend a lot of time combing through data and responses to find patterns and nuances within the details. There is still a cost to these projects. In one instance, the major project budget went into a communication campaign that was launched and the work with existing physical networks to get people to participate. Compared to traditional ways of doing things (face-to-face, for example) the cost of outreach is not so expensive, but integrating SMS and other technologies does not automatically mean that money will be saved. The cost of SMS is also large in these kinds of projects because in order to ensure participation, representation, and inclusion, SMS usually needs to be free for participants. Even with bulk rates, if the program is at massive scale, it’s quite expensive. When assuming that governments or local organizations will take over these projects at some point, this is a real consideration. Even if you include new technology, successful initiatives require a team of people and need to be managed. There is no magic to doing translations or understanding the data – people are needed to put all this together, to understand it, to make it work. In addition, the tools there were covered at the Salon only collect one piece of the necessary information. “We have to be careful how we say things,” commented a discussant. We call it M&E, but it’s really ‘M’. We get confused with ourselves sometimes. What we are talking about today is monitoring results. Evaluation is how to take all that information then, and make an informed decision. It involves specialists and more information on top of this…” Another participant emphasized that SMS feedback can get at the symptoms but doesn’t seem to get at the root causes. Data needs to be triangulated and efforts made to address root causes and end users need to be involved. Participants emphasized that those developing these programs, tools and systems need to be given space to try and to iterate, to use a process of adaptive design. Donors shouldn’t lock implementers into unsuitable design processes. A focused ‘ICT and Evaluation Fail Faire’ was suggested as a space for improving sharing and learning around ICTs and M&E. There is also learning to be shared from people involved in ICT projects that have scaled up. “We need to know what evidence is needed to scale up. There is excitement and investment, but not enough evidence,” it was concluded. Our next Salon in the series will take place on August 30th. It will focus on the role of intermediaries in building capacity for communities and development partners to use new technologies for monitoring and evaluation. We’ll be looking to discover good practices for advancing the use of ICTs in M&E in sustainable ways. Sign up for the Technology Salon mailing list here. Salons run by Chatham House Rules, thus no attribution has been made.